One of the best ways to come up with the story is to use your main character to inspire it. If you already know the name of your main character and a little bit about him or her, then you can use some of the techniques below to inspire a story. Most writers know that even if you come up with the story beforehand, the character is what drives that story, and often in a direction that you did not expect. That means if you need a story, you might just be able to recognize one just from the simple process of interacting with your main character. 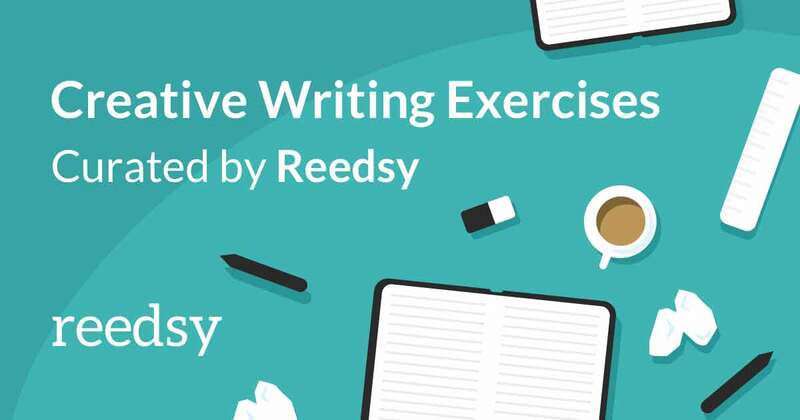 If you want some writing advice on using any of these techniques, check out one of the helpful websites out there like Reedsy which has a lot of great advice for starting your story. Interview Your Main Character: One of the best ways to get to know your character and find out what kind of stories they want to tell is simply to interview them. Write a Scene from Your Character’s Childhood: You should try to write a scene from your character’s childhood. There could be something that happened in their childhood that will inspire a story later in life. If you are writing a children’s story, then the event doesn’t have to be that much later. Create a Scene with Nothing but Dialogue: If you can figure out how your character speaks, then you will get a long way towards understanding him or her better. Plus, sometimes free dialogue can inspire a story. Imagine “What If” Scenarios for That Character: Put your character in various what-if scenarios and see if any of them make you think of an original story that hasn’t been written yet. Draw a Picture of Your Character: Sometimes, drawing a picture of your character will allow you to get to know them better and the type of picture that you put them in might just be part of a story you want to tell. Write Fan-Fiction Featuring Your Character: If you can put your character in one of your favorite worlds, it might inspire something original. Obviously, you do not want to write a real story that is based upon someone else’s world, but you can do it if you are trying to inspire yourself. Write Your Character’s Eulogy: This is more for character development than story, but it can be a useful tool for coming up with the story as well – particularly the story of how they died. Come Up With a Comprehensive Backstory: Finally, if all else fails, come up with your character’s entire backstory. This is a pretty common technique, and it is rather time-consuming, resulting in frustration if you decide that you don’t want to write about that character after all, but a back story is a huge help when you actually begin writing, and it may give you some ideas when you are lacking for them. Choosing a publishing platform is one of the most important task you have as a self-publishing author. The problem is, there are lot of publishing platforms choose from, and there are a lot of things to consider. Still, most people go with the Kindle Direct Publishing platform. There are some very good reasons why this is, and we will be exploring them in detail in just a moment. But for those who are not that familiar with the platform, let’s take a look at what KDP actually is. Kindle Direct Publishing (KDP) is a publishing platform that is set up by Amazon that gives you the ability to publish digital books for the Kindle without spending a single dime to do so. That’s right, you don’t have to pay anything to use the KDP program. In fact, Amazon will pay you royalties of up to 70 percent simply for publishing with them, and they give you tools to promote your book as well. To use KDP to publish your book, all you have to do is create an account, fill in all of the information and upload your book and book cover. You can literally publish a book in about 10 minutes using KDP. But what are the benefits of doing so? Your book will be listed on Amazon which is the largest digital and physical book retailer on the planet. You are able to come up with keywords and fill out descriptions that will allow your book to be listed for specific topics that the book covers. You also be able to choose categories, so that when people are looking for a very specific genre or type of book, there is a chance that yours will come up, especially in categories without much else published. You will be able to rise up in the search rankings due to your sales, which could mean thousands of sales in a single day if you can get enough people to buy your book all at once. People that get in the top 100 can literally earn hundreds of thousands of dollars in days or weeks. You will have access to the Kindle Select program which allows you to offer your book for free or at a reduced cost once every 90 days, and this can be a huge promotion for your book that can carry over to when the price changes back to normal. You will be able to be part of Kindle Unlimited which allows people to borrow your book that have a KU membership, and you will earn money for every single page of your book that they read. Your book is already converted to Kindle format, so it can be read on the most popular device for reading electronic books. You also have access to Amazon’s brand-new print on demand paperback capabilities and possibly be able to publish your book in hardcover in the future. You can earn up to 70 percent royalties on every book you sell. Good characters are going to have their own voice. But new writers often have trouble coming up with this voice. They don’t know what their character sounds like, and so many of their characters may sound the same. Some writers try to model a character voice from a popular character that they know. But you don’t want to copy someone else’s character voice; you want your character to have their own unique voice. That’s why you should check out these helpful tips on how to create a voice. The first thing you have to understand is that there is a difference between the narration voice that you create in the dialogue voice that you create. If you look at an example from popular fiction, the narration voice of Harry Potter in the seven book series is completely different than the actual dialogue voice of Harry Potter. Another thing that you can do is to try out different voices for your character. Write the same line of dialogue using different voices and try to find something that fits with your character. Obviously, not everything is going to fit, you may find something that comes close and you can use it to create the new voice for an original character. Another thing that you can do is try to figure out why your character speaks that way. For example, Hagrid from Harry Potter speaks that way because of his background and the fact that he is half-giant who is not made it through school. Try to figure out what your character’s background is and why it might cause him to speak a certain way. This will allow you to come up with dialogue and narration that fits that particular character perfectly. You definitely want to avoid character voice clichés. For example, suppose that you are writing about a pirate. You do not want your pirate to be saying, “Arrrh Matey,” all the time because that is just a good essay on the pirate genre and it is going to make your story or novel look weak. Instead, imagine a pirate character that speaks like he has read Shakespeare and every available classic novel known to man. This is a much better way to get a character to talk and avoids the regular cliché of making him sound like he comes from a terrible movie. Finally, write down people’s real voices to get ideas what they sound like. You do not want to copy someone exactly, but you can use some of the ideas that you get by writing down what people say and how they say it, to give you ideas on how to write dialogue. Not all dialogue is going to be good, but it should give you some ideas on how to write your own and help you to develop your own character voice. Are you confused between self-publishing is better or traditional publishing is better? Then let us tell you, some years back, self-publishing was not treated as a well-regarded path to success. But with the changed in time, authors started self-publishing their books. Where you want your book to be stocked? Self-published authors cannot achieve wide distribution for their book at stores with a single title. If you have connections, you can get your book stocked locally or in your region. But majority of times, books of self-publishing authors are sold through online retail, as a print or an e-book. Do you want to get media attention? If your goal is to grab media’s attention, then probably you need a traditional publisher for your book. When you self-publish a book through online retail, it is very difficult for author to score traditional book reviews, and media coverage. Whereas, it is easy for traditional publishers getting those doors to open to grab the attraction of media. 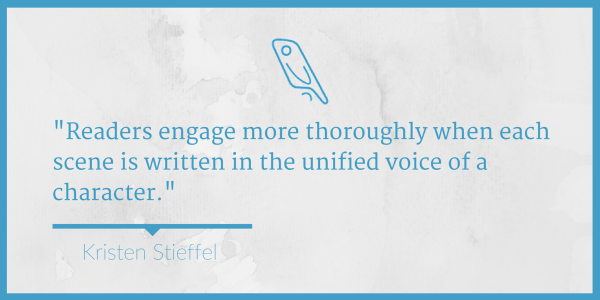 Is your book appealing to your audience? You can self-publish your book, when the audience you want to reach is easily reachable on your own through your own business, website, bolg or any other source that touches your fan base. In case, if you’re looking for a book to increase your readership in any which ways, then a publisher can be useful. What market are you targeting? Some categories or genres of work are ideal for self-publishing because this audience is already consuming things digitally and eager to discover their next read through online channels. Becoming a self-published author means you are solely responsible for your book’s success. If you’re a first-time author, you may have little knowledge of how professionally published book looks like. You also possess little knowledge of editing, designing, sales and distribution work etc. To opt for self-publishing carrier, you need to have an entrepreneurial mindset and willingness to learn the publishing business. Although, as a self-publisher, you can always have an option to hire for the services you require but when you have knowledge with you, no one can fool you. On the other hand, if you can work with a team of people, or can be a business partner, you may be better suited to traditional publishing. Do you want to use self-publishing as a way to land a traditional deal? Do not ever use self-publishing as a way to land a traditional deal, as such efforts fail majority of the times. The earning through self-publishing or through traditional publishing purely depends on the book and the type of deal or contract you offered. As each author and every book is so as the target markets to differ. Better keep a clear set of goals for your book, and figure out the right publishing strategy for you.